Don’t watch this film for the storyline. There is one. I think. But who cares? If you’re watching these films, you’re watching them to see Sylvester Stallone, Arnold Schwarzenegger, Bruce Willis, Jason Statham, Jet Li, Terry Crews, Dolph Lundgren, Mickey Rourke, Jean-Claude Van Damme, Chuck Norris and heaps of other massive action film stars all in it together. 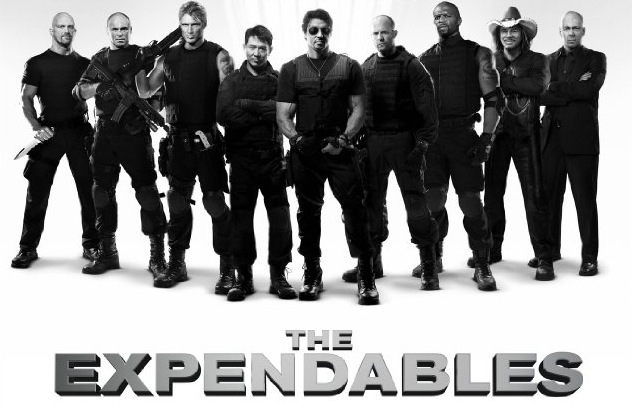 The films don’t disappoint – if you want explosions, guns that literally rip people in two, blood, serious muscles and corny one-liners. They do disappoint if you want plot, sub-plot and facial expressions (man, the amount of plastic surgery on screen is surprising). You don’t need the first film to know what is going on in the second, and the second is heaps better. Unfortunately, Jet Li is out of the film early on, but in the second film there is one scene with Bruce Willis, Arnold Schwarzenegger and Sylvester Stallone all with massive machine guns killing bad guys in the airport. What more do you want? Chuck Norris? Yeah, you get him too. And I’m pretty sure he made a Chuck Norris joke. 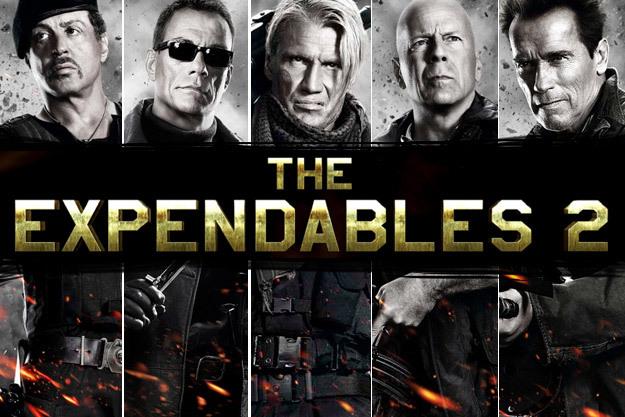 Expendables 3 is on IMDB, apparently to be directed by John Woo and Nicholas Cage is on board. I was hoping for Wesley Snipes – he should be out of jail (tax fraud) this year, according to the internet. But Cage will do.